The main objectives of the Community Center to promote the survival skills of the war effected community through improving their livelihood, social integration, reducing the effects of the crisis and ensuring full access of the basic rights and raise awareness among displaced and host communities. 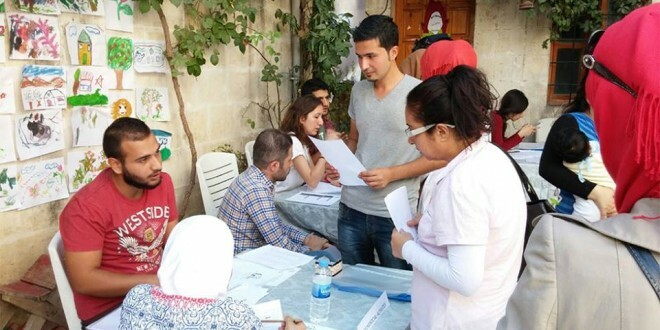 Therefore, IMPR Humanitarian has been providing various services at Urfa Community Center since September 2013. On 1st of October 2015, IMPR Humanitarian has started its new project term within the donation of GIZ and ADH. In this context GIZ will cover life skills, language courses, outreach program and capacity building components for 2 year. ADH through Worldvision International will cover other activities.